Join Easter Seals today in educating and informing public officials about issues that affect individuals with disabilities. View Easter Seals action alert below and contact your legislators now! As you may know, Governor Rauner has proposed cutting $23M from the state’s Early Intervention budget. That means that children with developmental delays of less than 50% would no longer be eligible to receive services through the EI program. We would like to encourage you to contact Governor Rauner and your Legislators informing them of the negative impact this would have on our children. Below you will find some information that will assist you with your communications. 3. Send a letter to your Legislator. Full list here. Not sure what to say to your state legislator? My name is ___________________________. I am writing to oppose the proposed budget cuts and eligibility changes to Illinois’ Early Intervention program. Increasing the level of delay required for eligibility from the current 30% delay to a 50% delay will be devastating to thousands of Illinois families, including ours. 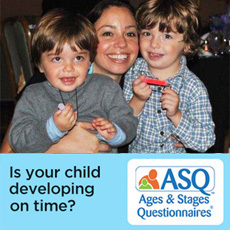 My family was/is a part of the EI program for ___(# of years/months)_____for our child, who was diagnosed with (percentage)_ delay in (areas of delay). My child receives/received (type of services – e.g. OT, PT, DT, Speech, Social work, nursing, transportation, service coordination) and is now functioning at a___________% delay/no longer requires special education support. Be specific about the challenges your family faced before Early Intervention.